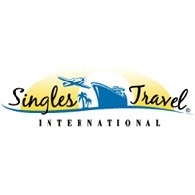 Average rating of 5.0 for all Singles Travel International trips. See blue, grayish cobblestone streets and feel the magic of the San Jose Church, Plaza San José, La Rogativa, La Fortaleza, San Juan Gate, and the San Juan Cathedral among other fascinating monuments. Visit Espiritu Santo Coffee Plantation to learn all about growing, harvesting and marketing the rich coffee of Costa Rica. We'll visit three national parks and experience the natural wonders of the USA. We begin and end our trip in Las Vegas, offering an option to party in Vegas on Saturday night! During our journey, watch the sun set upon the spectacular Grand Canyon—sunrise is just as impressive—and be humbled by the magnificent scenery. Photographs cannot adequately do justice to the amazing landscape; you must witness it in person! In Lake Powell, enjoy an afternoon kayaking on one of America's most beautiful lakes. More splendid views await us in Utah's Bryce Canyon National Park and Zion National Park. Watch the colors change on the massive stone formations and be awed by the impressive geology.